1. Information on how to enter the Promotion and a description of the prizes that may be won in the Promotion form part of these Terms & Conditions of Entry. Participation in the Promotion constitutes acceptance of these Terms & Conditions of Entry. Entries not complying with these Terms & Conditions of Entry are ineligible and the Promoter reserves its absolute right to disqualify any customer from the Promotion if any entries do not comply with these Terms & Conditions of Entry. e.g. drivers licence. Employees of the Promoter’s associated companies, the Promoter’s agencies associated with this promotion and their immediate families are ineligible to enter. These Terms & Conditions of Entry will be displayed online at www.suttontools.com at the commencement of the Promotion. – A transaction total of $20.00 or more from the Sutton Tools brand range during the Promotion Period. One entry will be recorded for each Eligible Purchase transaction. 4. The Promotion commences 07:00 AEDST 04/02/2019 and concludes 23:59 AEDST on 30/07/2019. 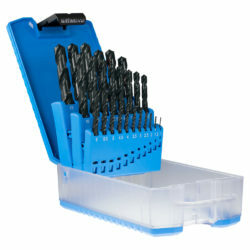 Spend $20.00 or more on selected Sutton Tools products (Eligible Purchase) . One entry will be recorded for each Eligible Purchase transaction. 6. Breaking a single transaction into multiple amounts is permitted, to allow multiple entries. Multiple entries permitted, subject to the following: (a) only one (1) entry permitted per increment of $20 spent on Sutton Tools products; (b) each purchase receipt can only be applied towards one (1) entry; and (c) each entry must be submitted separately and in accordance with entry requirements. For the sake of clarity, one (1) receipt cannot be split across two (2) or more entry forms. For example, if an entrant spends $30 in a single transaction on products that receipt cannot be used twice, for two entries (ie by applying $20 of the purchase towards one (1) entry and the remaining $10 towards another when combined with other separate purchases). It is the responsibility of the entrant to ensure they obtain separate receipts for products, if necessary. Entrants must retain their original purchase receipt(s) for all entries as proof of purchase. Failure to produce the proof of purchase for all entries when requested may, in the absolute discretion of the Promoter, result in invalidation of ALL of an entrant’s entries and forfeiture of any right to a prize. Purchase receipt(s) must clearly specify the store of purchase and that the purchase was made during the promotional period but prior to entry. 8. The Promoter reserves the right to verify the validity of entries and reserves the right to disqualify any entrant for tampering with the entry process, including but not limited to making multiple entries that are not associated with an Eligible Purchase, or for otherwise submitting an entry that is not in accordance with these conditions of entry. 9. The Prize winner will be determined by a random draw of all valid entries. One prize winner will be drawn nationally. The Prize draw will take place at 12 noon AEDST on 02/08/2019. The prize draw will take place at 378 Settlement Road, Thomastown, Victoria, 3074. 10. The Prize winner will be contacted by phone and in writing. The winner will also be published online www.suttontools.com. If the winning entry is invalid, the entry will be discarded and the prize will be awarded by randomly drawing another entry in accordance with these Terms & Conditions of Entry. These will be delivered by Berwick Ford. The winners should allow 28 days from prize draw for availability of their prize. The promoter will negotiate a date and time suitable for collection of the prize. The promoter will advise a location that the prize needs to be collected from. 12. The winners should look to the manufacturer of products awarded as prizes for all warranties. 13. Unclaimed Prizes – If in the event the winner does not claim their prize, a redraw for unclaimed prizes will take place at 12 noon AEDST on 16/12/2019 at 378 Settlement Road, Thomastown, Victoria, 3074. The winners will be contacted by phone and in writing and will be published online www.suttontools.com. 14. Subject to the approval process required by any relevant gaming or lotteries authority, in the event that any prize item is unavailable despite the Promoter’s reasonable endeavours to procure within Australia, the Promoter reserves the right to substitute a different prize item of equal or greater value. 15. If the winner is under the age of 18 years or does not hold a valid license, the prize will be awarded to the winner’s parent/guardian on their behalf. 16. Prize is not transferable and cannot be taken as cash. 17. Prize value is correct at time of printing; no responsibility is accepted for any variation in the value of the prize. 18. The Promoter reserves the right to disqualify all entries from any entrant who is in breach of the Terms & Conditions of Entry or the Terms and Conditions or who manipulates, seeks to manipulate or benefits from manipulating, the entry process or the Promotion. 19. The Promoter and its agencies and companies associated with this Promotion will not be liable for any loss (including but not limited to indirect or consequential loss), damage or personal injury which is suffered or sustained (including without limitation to that caused by any person’s negligence) relating to the Promotion or the awarding or taking of the prizes except for any liability which cannot be excluded by law (in which case liability is limited to the minimum amount allowable by law). 20. The Promoter may use any personal information that an entrant has provided to it as part of the promotion for the purpose of running the Promotion, and also in advertisements, publications, media statements and other promotional material associated with the Promotion. For purposes of public statements and advertisements the Promoter will only publish the winner’s surname, initial and participating store location. The Promoter may disclose the information for those purposes to its related bodies corporate and contractors. The Promoter may use personal information a customer has provided to send the customer information about Sutton Tools products and services (including via electronic means), and may disclose the information to its related bodies corporate, agencies and contractors (including call centres, advertising agencies and direct mail houses) the Promoter engages for that purpose. 21. Each entry becomes the property of the Promoter. 22. In the event there is a dispute concerning the conduct of the Promotion, the decision of the Promoter is final and no correspondence will be entered into.